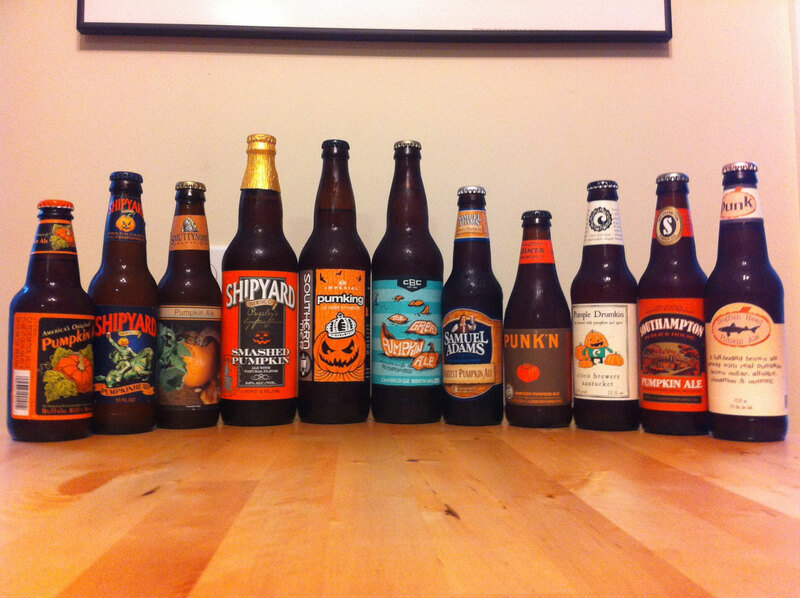 Andrew: I just picked up a bottle of Southern Tier Imperial Pumking—by far my favorite pumpkin beer. I know that pumpkin beers are one of the most popular seasonal styles, but I find it strange that they are becoming available earlier and earlier. It’s seasonal for a reason—you expect to see them in the fall and not in July during a heatwave. It’s probably just because brewers recognize the popularity and want to cash in sooner and for a longer period. I’m not really complaining about it, since this just means we can enjoy these delicious beers for a longer time each year, just making an observation. I also really like the Elysian Night Owl and the Dogfish Head Punkin. I’ll probably save this bottle of Pumking until the weather cools down a bit. Did you try the batch that came out recently? I’m interested to see what you thought of it, especially compared to previous years. We got it and were not thrilled with it. I will try it again when pumpkins are in season though. Thanks for the heads up. I haven’t tried it yet. I’ll probably wait until Sept/Oct, when I’m feeling more into drinking this style. I loved it last year, so it’s a bit of a disappointment to hear this. I wonder if it’s because they upped their production due to the popularity, but I have no idea if they increased production. I’ve already seen several Pumpkin and Oktoberfest beers including Harpoon Pumpkin UFO and a few Oktoberfests. I’m wondering if frozen pumpkin is being used from last years batches of pumpkins to produce the pumpkin beer we are seeing in July? I believe that canned pumpkin is the norm. I honestly don’t think it’s possible to use this year’s pumpkin harvest, or we’d be getting pumpkin beers in the winter. I have to believe that you are right on this one. Doesn’t stop some people from drinking pumpkin beer in the winter though. Have you had Weyerbacher’s Imperial Pumpkin Ale? Have not tried ST’s yet but this one was the best pumpkin Ale i have tried as of yet. no you are right – it is definitely heavier (relative the the style) and lived up to the Imperial part of the name. Will check out Pumking for sure this year!